Carbon fiber hood is one of the elements of exterior styling. Fans of Carboniferous appreciate this material for its lightness, high strength, beauty, and other unique features. By the way, if you want to make a carbon fiber hood can be in the home. Determine the shape of the future carbon fiber hood. For example, it may be the hood with lateral gills. Make a matrix as a mold of the hood: on native hoode complete all "growths", which will copy a carbon fiber hood. Make a plaster matrix. Dilute a small portion of plaster to the consistency of sour cream and pour it on the hood with a layer of 5-10 mm. Below the matrix is moved away from the hoodand apply a Polish and in those places where the moulding, lay the cling film. Wait a few days until the plaster dries. To increase the strength of the product, take the sheet of foam and polyurethane phenogenetic. Then squeeze phenogenetic not thick carpet through the hood, and then make a few more tracks from the middle (50 cm), apply on top of the foam, level it and let the day to stand. This sheet will be amplifier carbon fiber hoodand a support for the matrix. In small sections, blow out the spaces between the "shells" and Styrofoam sheet (pause in the blowing out of the individual parts should be approximately day, otherwise the matrix can strongly lead). Wait a few more days (phenogenetic needs to harden and the plaster to dry). Then separate the matrix from the hood. Since the selected modification is the bonnetand the Central part deepened, stick to his growths (clay, paper, plaster or any other material). Before you start to glue the hood, do the anti-adhesive coating of the matrix. To do this, cover the surface with varnish, and the top Polish. Perform cutting fiberglass in several layers. One layer is put into the matrix, dissolve the epoxy and apply it from the top with a brush. Then put the second layer of fiberglass and a Hairdryer heat the entire surface: epoxy impregnate the entire fabric. Subsequent layers of fiberglass are put in the following way: apply the epoxy and cover it with fiberglass, all warm Hairdryer, then wipe and wait. Ideally, there should be five glued layers. Do not remove the hood from the sensor, wait a couple of weeks, otherwise, if you withdraw prematurely, the workpiece will be discarded. 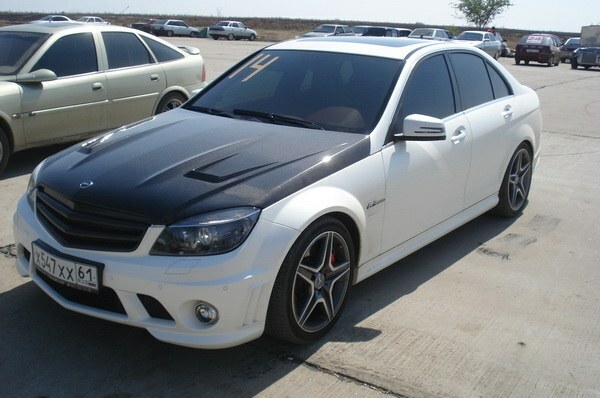 Carefully separate the hood from the matrix, cut all the rags and try on the product instead of the native hoodand car. Then start grinding: first grind sand paper 40-60 grit, then apply a layer of putty with fiberglass, let dry and sand again, and finally apply a coat of regular putty and prostituate. Paint a carbon fiber hood and when it dries, install it instead of the native hood. Try to keep the dust during the sanding did not get on exposed skin, otherwise severe itching you provided. Dilution of the gypsum is taken into account one important caveat: if it is made watery, enough to cover a larger surface area, and if thick, it will be solid and durable.